I've been thinking a lot this year about many different styles of Christmas decorating. I mean, there's glitzzy sparkly stuff, vintage Victorian styles, woodsy-cabiny-outdoorsy, traditional, elegant, folk-artish, modern, etc., etc., etc. How's a girl to choose?! Overall I think my personal Christmas style is big mixture of outdoorsy-traditional-beautiful. (Throw in lots of greenery and some tree branchs and pinecones, and I pretty much love it!) It's kind of a work in progress. That being said, this season I've been a bit intrigued by all the bright Christmas decor I've seen. It seems like I've seen a lot of hot pink, turquoise and yellow thrown in with the traditional reds and greens. It just screams of childhood giggles and fun to me. 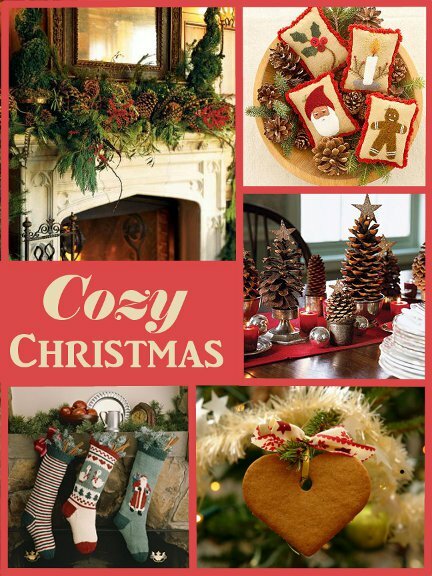 Now, clear on the opposite end of the spectrum, I've also been thinking a lot about really cozy, homey Christmas decor. It all started with some crafts I saw using old knit sweaters to make pillows (kind of random, I know). BUT, I thought, "oooo wouldn't a bunch of cable-knit pillows in cranberry and cream be so warm and cozy at Christmastime?" Which got me thinking about all sorts of cozy Christmas things. Makes me want to sip hot cocoa while reading a good book. 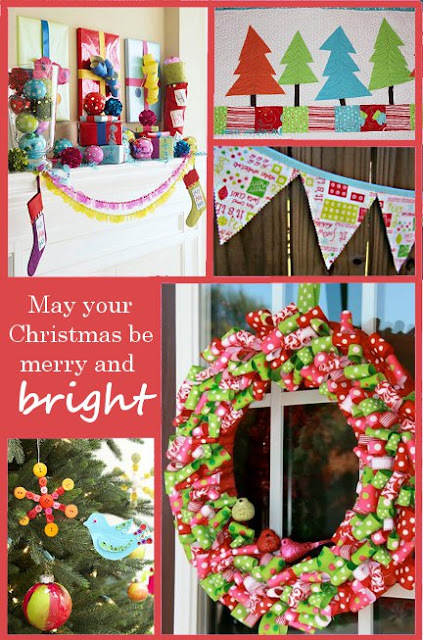 What is your favorite holiday decor style? I'm not too picky. If anyone of those magazine covers wanted to take over my home, I'd let them. But if I were given mmmmmm.....$2000, I'd probably go traditional greens and dark reds with plenty of cream thrown into the mix. I'm ready for that check! I found you on Tater Tots and Jello what a great craft you shared there I'm your newest follower!